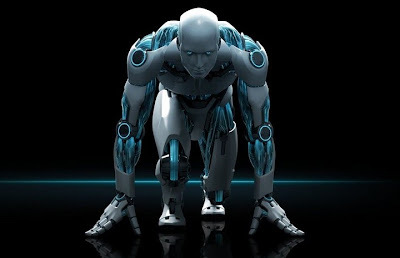 Well what comes in your mind when you hear the word “Artificial Intelligence”? Let’s explore!!! Mmmmnnn may be a smart and intelligent machine which is capable of taking its own decisions according to the environment the machine is in. Some of you even give it a shot and try to Google “ARTIFICIAL INTELLIGENCE” and what we get is millions of results in just 0.0015 seconds. But wait!!! Have you noticed that you yourself are sitting in front of a mega example of artificial intelligence? Yes this is Google which displays you result of your query in order of relevance with your query. This is the most common and everyday example of artificial intelligence. Before going any forward I would like to discuss the difference between humans and machines. Machines work on certain logic and algorithms programmed in it but a human applies thinking; a human works and takes decision on basis of logic as well as probability and intuition. If this quality of humans can somehow be borrowed by machines, the machine will be said to be working on artificial intelligence and machines and humans will become equal. Google is just an example that can parse obscene amount of data on web and give only useful data to the user. For those who know how cell phone works another example of artificial intelligence is “intelligent cell concept” in which data is transferred in form of packets along the most efficient paths. Also some of us have witnessed automation machines in any industry or on Discovery Channel; one must have noticed how those machines work with the help of sensors from manufacturing to packaging and rejection of unwanted goods. Also this is somehow an example of artificial intelligence. For quite a long time one has thought of machine taking human like shapes and walking and talking just like us. 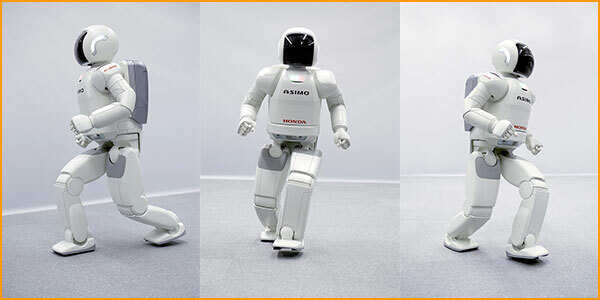 The HONDA ASIMO (Advanced Step in Innovative MObility) which is what I call a benchmark on the path of AI has got a huge attention when launched cause of its human like walk. ASIMO is equipped with infrared and ultrasonic sensors which helps it to understand distance from other objects, walls and floors. Also for the motion ASIMO is equipped with 34 high precision servomotors, and not only this if you try to push ASIMO to change its path the fast processors of ASIMO make ASIMO to throw its weight on the outside foot to balance itself. Well seems a marvelous brain venture. 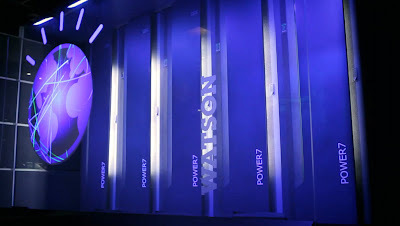 Another example of AI is IBM WATSON which in lame language I call Super Google. 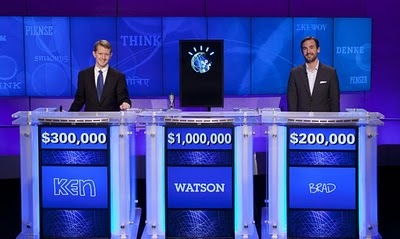 Watson which caught eye when it defeated 2 champions of an American quiz show. 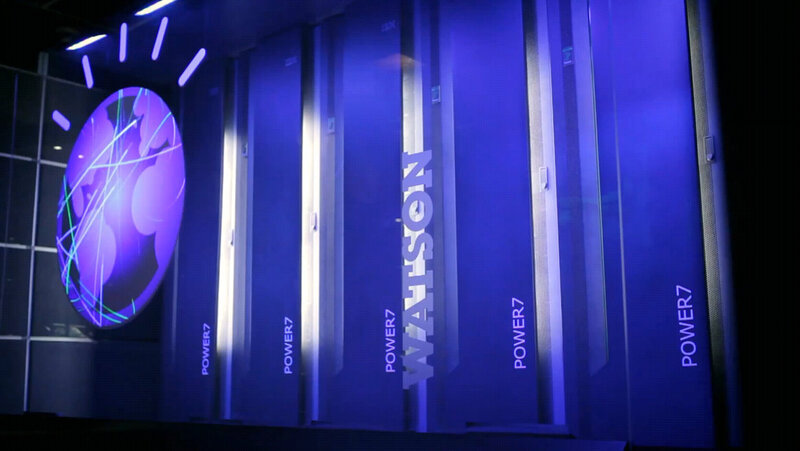 Watson is equipped with some advanced algorithms and millions of pages of data already preloaded in Watson which helped this IBMer to think analyze and reason even faster than humans. 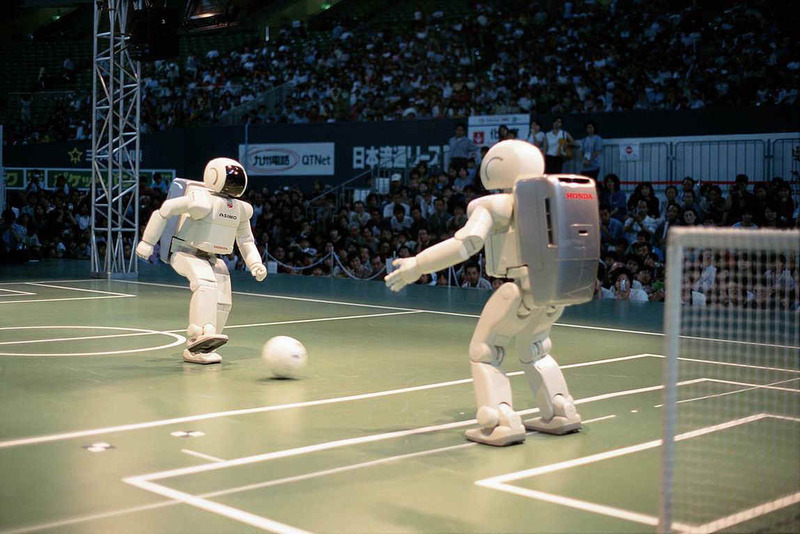 Robotics and Artificial intelligence share a healthy relationship from a long time. The question is very old whether robots will be having their own minds? World’s greatest robots track their path using sensors ASIMO is an example. We are entering an age of information technology where we are to much relying on our gadgets what if these gadgets start thinking? What if these gadgets start advising us? What if these gadgets become able to understand us and our needs? Well I don’t think one will ever be alone, all of us will get a companion to share our thoughts. Maybe our maids, chauffeurs get replaced by wonders like advanced ASIMO kinds. Assuming a world of AI and robots will be man’s another step towards a great discovery just like landing on moon. Will these ROBOTS become our friends or enemies? Answers to such questions will be answered with time!!!!! I am the Founder, President and CEO of WayZen (WayZen Inc.) a Tech Startup located in New York City. The company offers Web 2.0 Application Development and Design, Cloud Application Development and Design, Mobile Application Development and Design, and Network Application Development and Design services. But what I think you will find most interesting is the fact that I am in the process of Developing and Designing Artificial Intelligence Applications. It is time for the world to continue on to the next phase of technological evolution. WayZen will be at the forefront of this evolution. I am a United States Navy (USN) Veteran, who worked as a Cryptologist while serving in the USN. I have many years of Information Technology experience, that encompass: Software Development and Design, Systems Engineering, Telecommunications, Satellite Communications, Database Development and Design, Electrical Engineering, etc. I have worked for an array of Multi-Million dollar companies on Wall Street, as well as overseas. Most of all, I am an innovator, inventor, and a man with vision. I know that it is time for Artificial Intelligence (AI) to take center stage once again. The technology that exist today is ripe for AI to take root and grow. The Cloud Computing Evolution has moved us closer to this fact. In addition, with the advancements in Mobile Applications, and the Hardware and Networks that support it, has laid a solid foundation for AI to walk on. The advancements in other Technology that we see today, will play a great role in the development and design of the WayZen Artificial Intelligence Applications. I am putting together a TEAM of Developers, Designers, Researchers, etc.., to create the next wave of change, a wave that will sweep across our global and impact every life in so many ways.